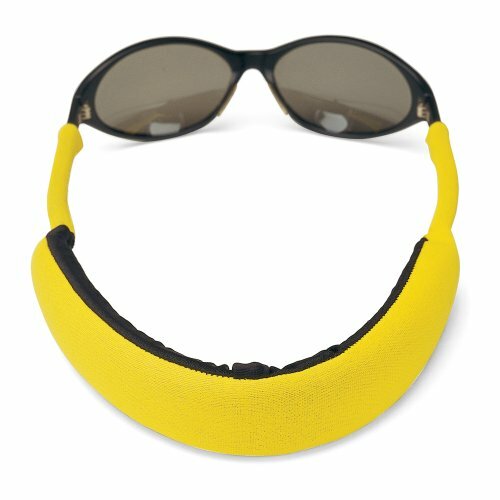 We take the concept of insurance for your prized valuables one step further with Croakies Float Products. Now you can insure the safety of your frames and your keys while on the water. Our floating eyewear retainers and keyrings work similar to strapping a life vest to your valuables to protect them from sinking. Just secure a Croakies floating retainer to your glasses or a floating keyring to your keys to keep them afloat. Our Float Collection is made with bright, beacon colors to help you track your valuables. Croakies floating retainers and keyrings come in a variety of styles and Croakies Floatation Factor (CFF) levels. The CFF allows customers to easily determine the amount of floatation they need to save their glasses or keys from sinking. If you have any questions about this product by Croakies, contact us by completing and submitting the form below. If you are looking for a specif part number, please include it with your message.